With summer in full swing and the August Bank Holiday fast approaching, now is the perfect time to think about adding exciting new flavours to your menu. Our developers at Quattro Foods Manufacturers in Portsmouth, Hampshire, have dedicated lots of time to perfecting our marinades and BBQ sauces, available in bulk to wholesalers, restaurants or education sectors. A firm favourite, and a perfect accompaniment for a classic beef burger, is chilli jam – adding these little twists to basic meals creates new, exciting flavours, so as the weather heats up, so can your dishes! Spice up your picnic hamper with our exotic sauces, from our Piri Piri to the more intense taste of Louisiana hot or Mexican Hot condiments – the perfect way to add some zing to your meal. Alternatively, our sauces can be used as a marinade for the perfect meat sandwich – a nice change from your typical cheese sarnies! 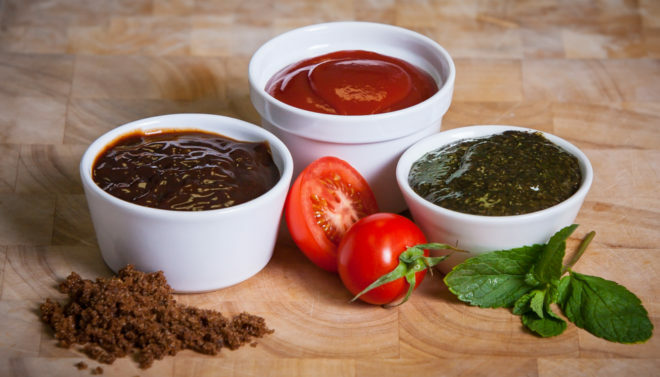 If you are looking for a high-quality sauce to sell or serve, you’ll be pleased to know that at Quattro Foods, we will make BBQ sauces and relishes that are unique for your business, so nobody else on the market has the same recipe. Get in touch with a member of our Quattro Foods Manufacturers in Portsmouth by ringing +44 (0)23 9262 0020 or send us a message through our website.